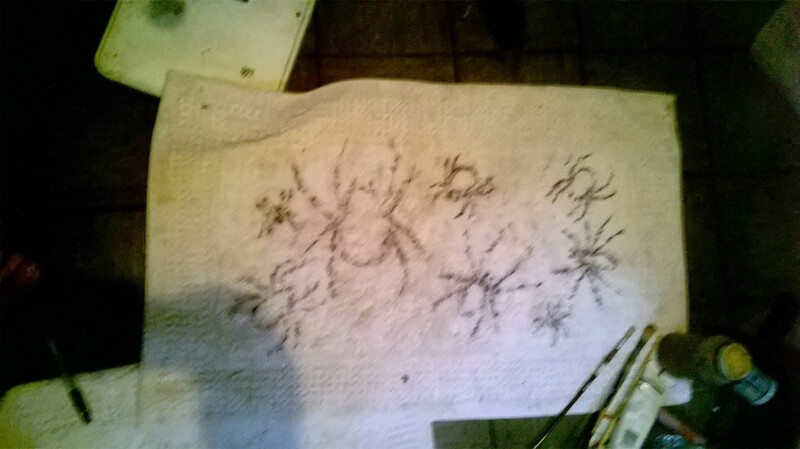 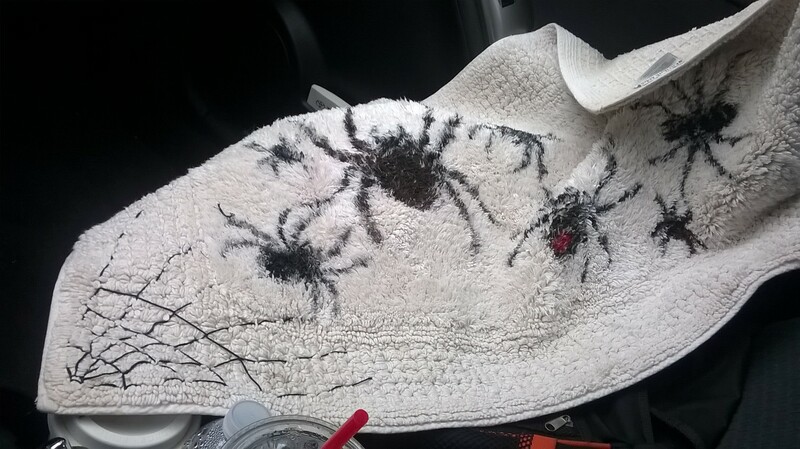 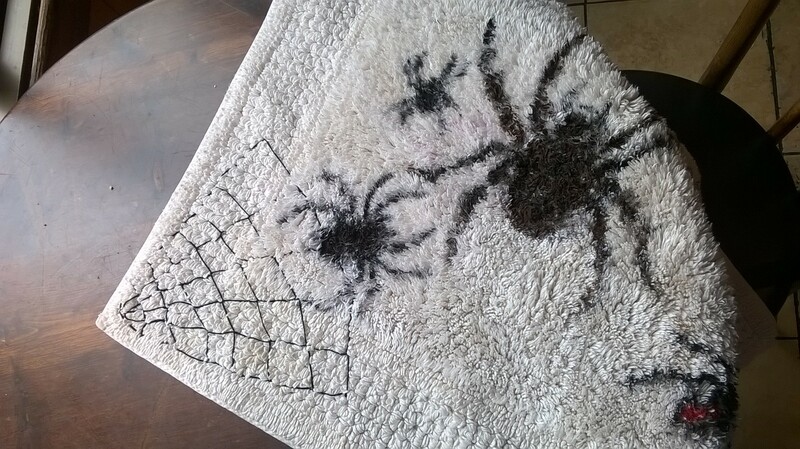 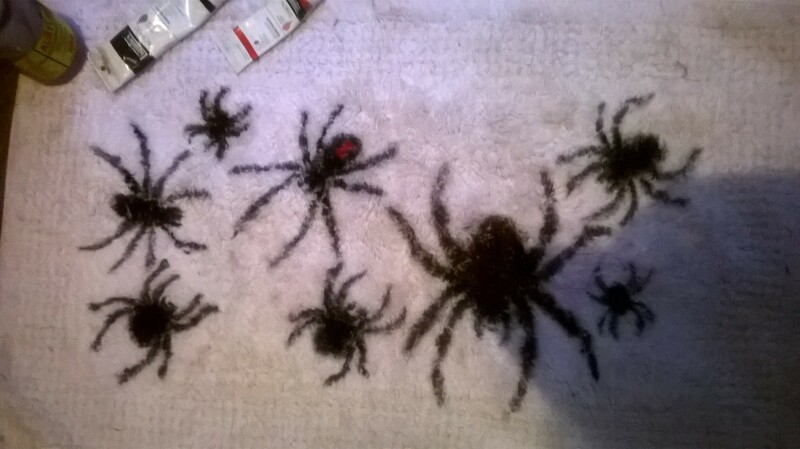 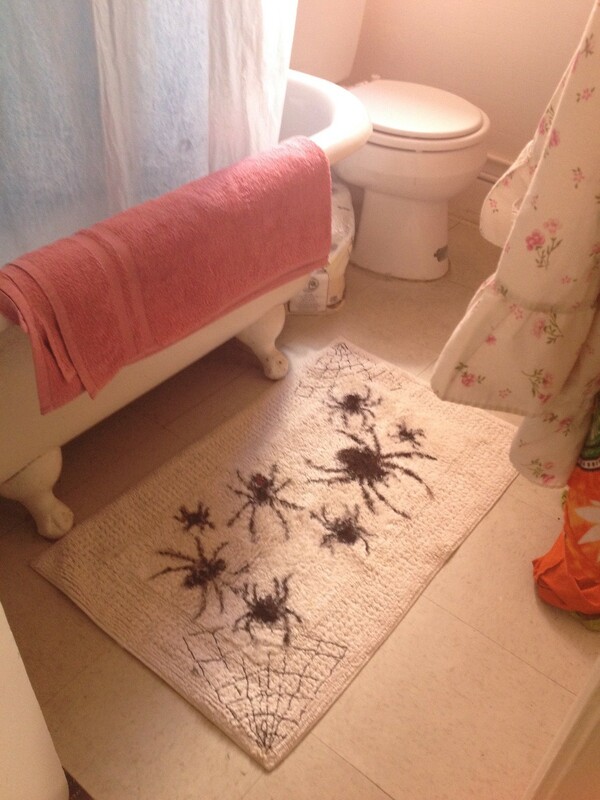 My friend’s previous spider rug fell victim to her dog’s diarrhea and though she was willing to wait until All Hallow’s Eve and buy another, I thought that having to step from a nice warm shower onto a cold tile floor for two months would be barbaric. 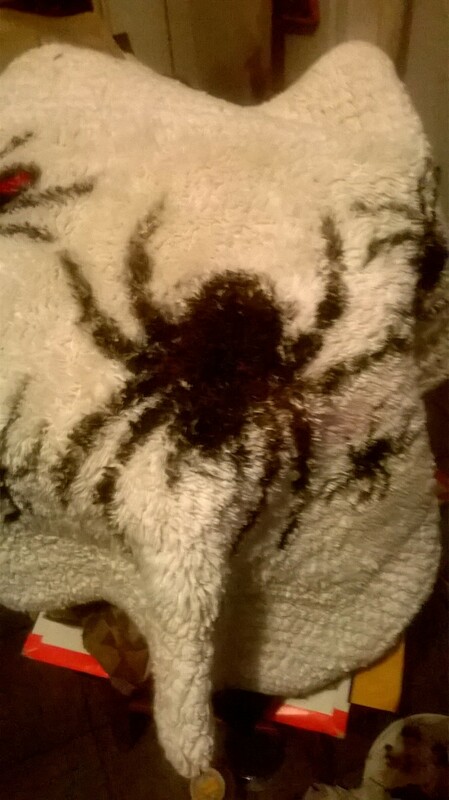 So I made her this. 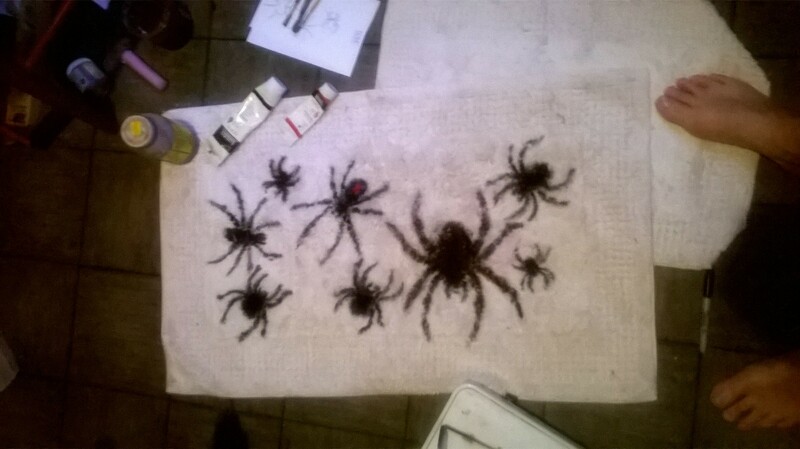 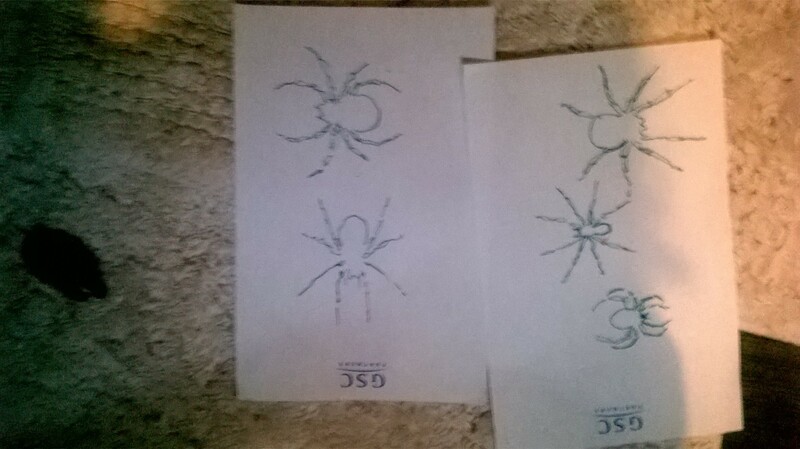 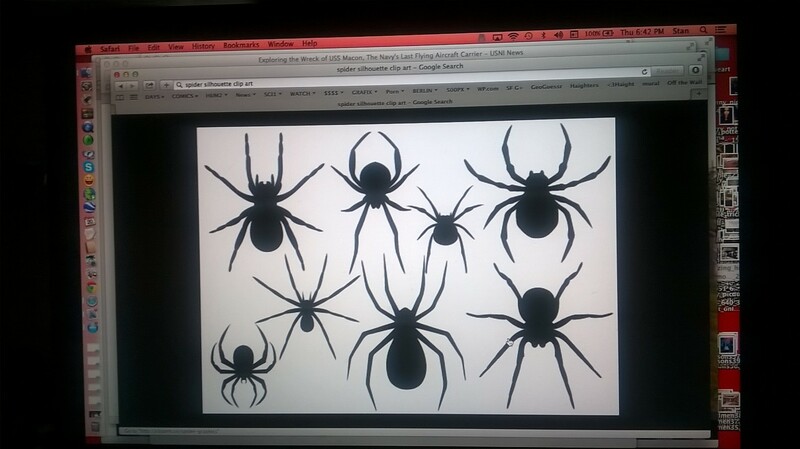 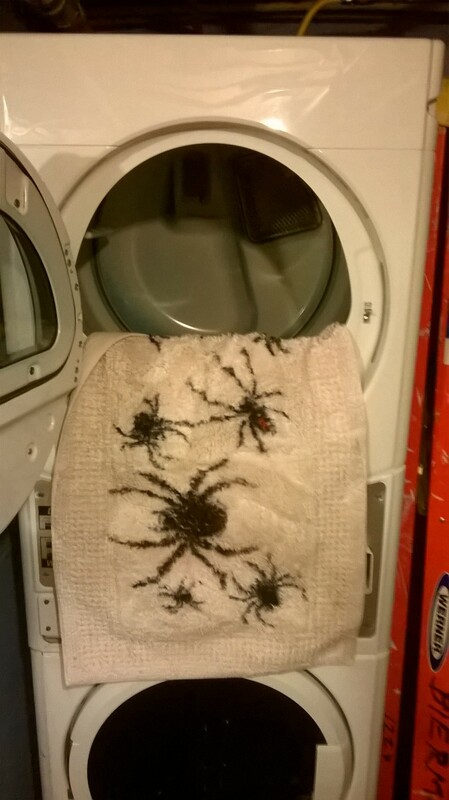 The spiders are painted and the webs are embroidered. 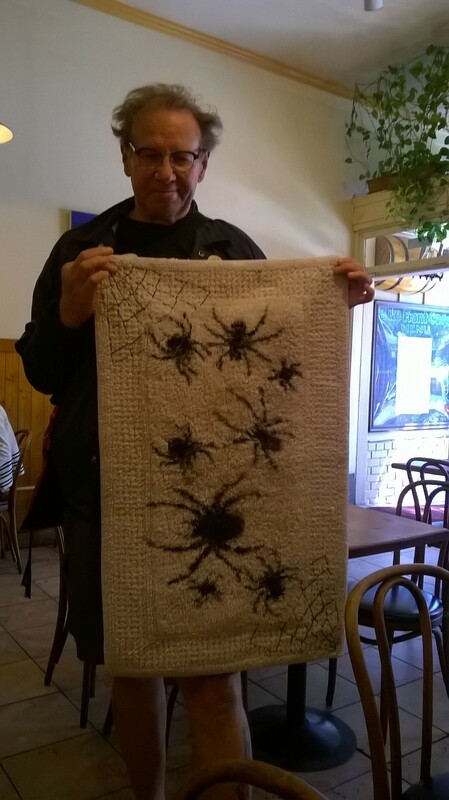 Nice gesture, lovely work, but don’t ever make me a spider anything!